A 1928 Bentley 4½-Litre Le Mans Sports ‘Bobtail’ and a rare 1956 Maserati A6G/54 Frua Coupe Series III were announced for RM Sotheby’s Amelia Island 2017 sale. 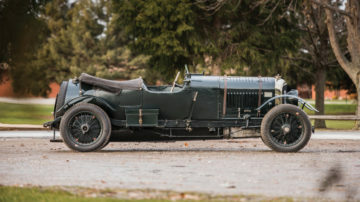 RM Sotheby’s secured a two-time Le Mans factory-entry 1928 Bentley 4½-Litre Le Mans Sports ‘Bobtail’ (est. $6,500,000-$7,500,000) for its Amelia Island Concours d’Elegance sale in March 2017. This important Bentley will join at least eleven further Bentleys from the Orin Smith Collection at the Florida sale. 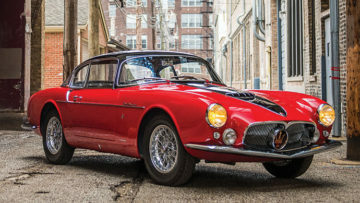 RM Sotheby’s also announced a further private collection of rare sports cars for the Amelia Island 2017 sale that will be led by a one-of-two 1956 Maserati A6G/54 Frua Coupe Series III (est. $1,600,000 – $2,000,000). A 1928 Bentley 4½-Litre Le Mans Sports “Bobtail”, chassis no. KM3088, estimate $6,500,000-$7,500,000) is the latest major car announced for the RM Sotheby’s Amelia Island 2017 classic car auction. This factory team car is in addition to at least 11 Bentleys previously announced in the Orin Smith collection. If the car sell near its lower estimate, it will be the first Bentley in years to sell for more than $5 million at public auction – the marque record is $7.9 paid for a 1929 Bentley “Birkin Blower” at the Bonhams Festival of Speed sale in 2012. 1920’s cars did well at Scottsdale 2017 where Gooding sold a 1925 Bugatti Type 35 Grand Prix for $3,300,000 and Bonhams achieved $4,812,500 for a a 1928 Mercedes Benz Typ S 26/120/180 Supercharged Sports Tourer. The 1928 Bentley 4½-Litre Le Mans Sports “Bobtail”, chassis no. KM3088. Boasting a phenomenal provenance and race record, the ‘Bobtail’ is one of just two factory team cars to claim podium finishes at two major endurance races in period—a result that cements its status as one of the world’s greatest Bentleys. Sporting coachwork by Vanden Plas and finished in Napier Green, KM3088 was born for competition. A two-time factory team Le Mans entrant, it competed as part of the Works team at both the 1928 and 1929 events, flying to an impressive 3rd overall in 1929. Just a month earlier, KM3088 established its race pedigree at the 1929 Brooklands Double Twelve, clocking an average 81.39 mph to finish 2nd overall. The car remained with its Works team following the 1929 season where it was used for practice, prior to being sold to its first private owner. Testament to its incredible appeal, it has been cherished by only a very limited chain of collectors over the years, notably spending significant periods of time in single ownership. 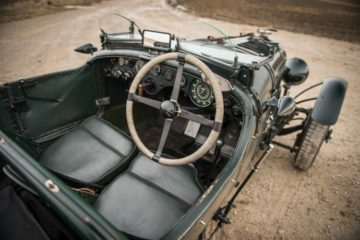 M3088’s first longtime private custodian, Mr. Lauchlan Rose—who, reportedly drove the British giant to work on occasion, an activity that also involved after lunch laps around the Brooklands circuit—purchased the car in 1930. Other than for a brief period, KM3088 remained with the Rose family through 1971. The ‘Bobtail’ then moved into the custody of respected English collector, Bill Lake, forming part of his esteemed pre-war sports car collection for 33 years, and only sold after he passed. In recent years, KM3088 has been the recipient of a professional preservation restoration by marque specialists. 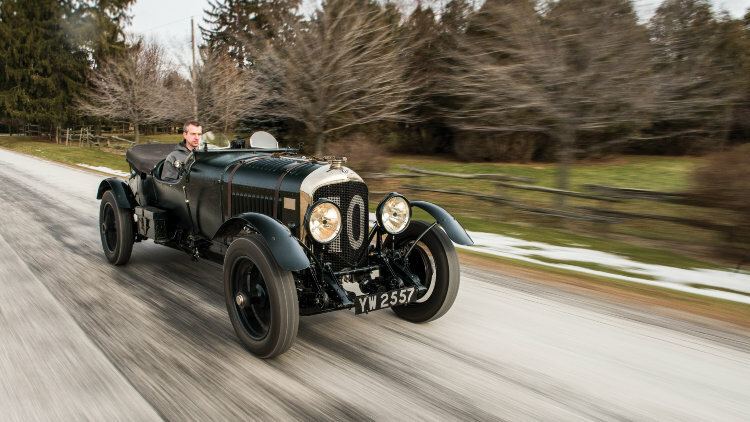 It will come to Amelia Island complete with a report by noted Bentley Historian Dr. Clare Hay. In addition to the recently announced Orin Smith Collection, RM Sotheby’s also secured a further private collection of rare cars. The leading car from this group is a 1956 Maserati A6G/54 Frua Coupe Series III (Est. $1,600,000 – $2,000,000). 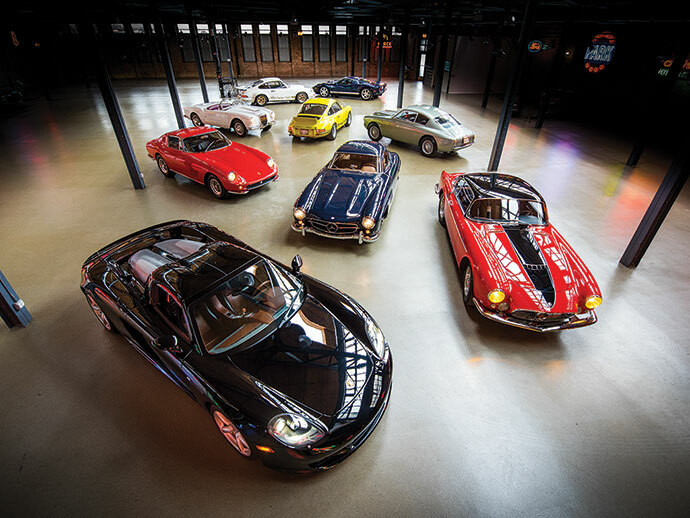 Among a long list of other recently secured attractions for RM’s Amelia Island sale is a well-known private collection of sporting cars, offered without reserve. Spanning 60 years of automotive design, this group comprises a fascinating mix of show-winning restorations contrasted against well-preserved, all-original cars, and is highlighted by a one-of-two 1956 Maserati A6G/54 Frua Coupe Series III, chassis no. 2181. Dramatic in two-tone red and black with a cream interior, the Frua Coupe was a class winner at the 2014 Pebble Beach Concours d’Elegance and comes to Amelia in show condition. along with a trio of highly desirable Porsches, ranging from an all-original 1974 Carrera RS 3.0 (Est. $900,000 – $1,100,000) and a matching-numbers 1973 Carrera RS 2.7 Lightweight (Est.$800,000 – $1,000,000) to a rare 2005 Carrera GT in black over tan (Est. $750,000 – $850,000).